Shipped overnight. Use within one week, best used when the aroma is apparent. Store in rice, a jar with eggs, in a paper bag, or in a bowl uncovered. Do not store in plastic at all. 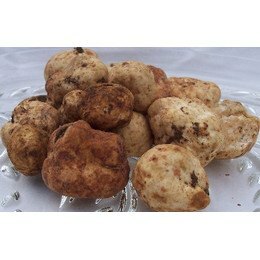 why don't you have fresh truffles available? They are in season.